The choices parents face with their kids can sometimes be daunting. Every parent wants the best for their child but the decision about what’s best is not always easy. Choosing a summer camp for your child might be a little easier if you take time to understand your child’s needs and do a little research before you sign up. – Your child can gain a new sense of independence. He/she will discover how to make decisions without mom or dad and deal with other authority figures that may have different rules and personalities than you. – Your child will learn new skills and improve old ones. 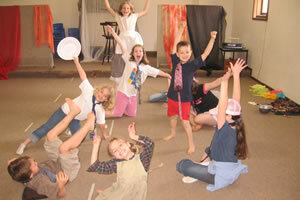 There are many types of camps, science camps, performing arts camps, dance camps, sport camps and more. Besides all the social benefits of camp, you child will learn more about the things he/she is passionate about. – Create lifelong friendships. You child will spend a lot of time with kids they don’t know or kids from different backgrounds. As your child learns to make friends these children become like family. – At a camp your child should get some physical exercise. Unlike school, camps have a more flexible schedule. Because of this camp is the perfect time for children to run, play, dance and get some real exercise. The above is by no means an exhaustive list. Remember your child’s experience will be different depending on what type of camp you send them to. A child who goes to a nature related sleepover camp will have a quite a different experience than a child who attends a performing arts day camp. So, Now that we know what our child will get out of camp. How do we choose the right one? 1) Ask your child what they want. Don’t overlook this. Every child is different and their need change from month to month. Of course you need to make the final decision but check in and see what your child wants to do. They may surprise you and choose something you never expected..
2) Talk to other parents. This is great advice to follow when deciding anything for your child. Other parents can give you the positive and negative details that you might not find out from a camp salesman. 3) Decide what type of camp fits your child’s needs and hobbies. These days there are many types of camps and I’m not talking about sleepaway vs. day camp. You and your child could choose a camp that specializes in math, language, surfing, film, theatre, performing arts, dance, farming, writing, weight loss, fashion, robotics. the list goes on. 4) Find out as much as you can from camp staff. When you have your short list, take some time to visit the camps in question. Some good questions to ask the staff are. a. What is your philosophy? b. How do you train counselors? How old are the counselors? c. If you are going to a specialty camp (performing arts camp, sports camp, science camp, etc.) who will be instructing the kids? Student counselors? Adult Professionals? d. What is the camper/counselor ratio. e. What is a typical day like at camp? f. How long has the camp been in existence? 5) Consider the safety of the camp. Does the camp have a medical staff member on board? How much time do the kids spend outside in the heat? What sort of safety systems does the staff have in place? Also, if your child has a condition that could need special attention, such as asthma or allergies, will the camp staff be equipped to deal with that? 6) Check and see if the camp is accredited by The American Camp Association. While there are many great camps out there that are not ACA accredited it is comforting for parents to know that an independent organization is monitoring your child’s camp. 7) Make sure the camp is fun! This may be the most important one of all. Will your child be overwhelmed or overworked by a stringent schedule? Your young camper is entitled to have the time of their lives. Remember they’re only young once.